Not all physical pain is the same. Pain can have many different root causes, ranging from physical wounds to emotional issues. Some pain passes as the body heals, while other pain is chronic. In this week’s podcast I talk to Dan Cleary who damaged his arm in a serious motorcycle accident decades ago. To this day he continues to experience considerable nerve pain as a result of the accident. Because of this experience he is dedicated to working with people experiencing pain. 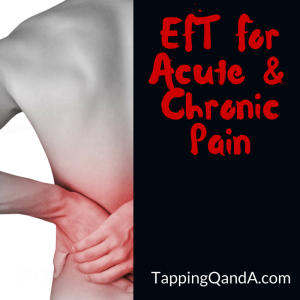 In this interview we talk about why he never uses the term “pain management”, the types of pain (chronic and acute), and how to approach each with tapping. Bio: Daniel F. Cleary, is an internationally recognized, Pain Relief Educator and Hypnosis Instructor. He provides individual and group programs in Pain Relief, Hypnotic Techniques, and Communication Skills, to Doctors, Psychologists, Therapists and Caregivers, throughout the United States, Europe and Australia,. 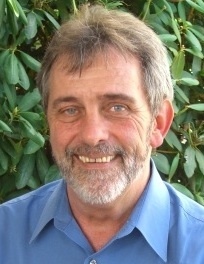 His specialties include; Pain Relief, Personal Transformation, and Effective Communication. Dan lives in Hobe Sound, Florida and is available worldwide for phone and Skype sessions. I will have to give this a try as I did tap 3 or 4 rounds for my migraine a week ago…and it let up a bit and came right back full blown. I mentioned a deep ache in my temple near my eye and pain that also was at the base of my neck spreading throughout my entire head…I questioned if it was migraine or not…because usually it is one sided for me…I gave in to imitrex and 20 minutes later…gone. So if we don’t know if its from swelling of the blood vessels creating the headache…and we just tap on the sensations and location and how bad it interrupts your day,.that isn’t specific enough? I also mentioned I felt terrible stress in my body as I am going through a very stressful time right now.